The parents of the painter Lambert Jacobsz (ca. 1600 - ca. 1637) ran a textile shop near Backer s home. Lambert Jacobsz himself was a Mennonite and a preacher. He had visited Italy, where he seems to have studied under Rubens, and had settled in Leeuwarden in 1620. The parents of the young Govaert Flinck once heard Lambert Jacobsz deliver a sermon in Kleef, and decided to apprentice their son to him in Leeuwarden, where, according to Houbraken, Flinck found in Jacob Backer his bedfellow and companion in Art . Backer probably studied with Lambert Jacobsz from about 1627 to 1632. 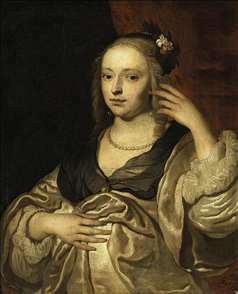 Some time after that, Flinck and Backer moved to Amsterdam, where Flinck became a pupil of Rembrandt s. The popular view since 1868 is that Backer also studied under Rembrandt. The epithet Bauch applies in the title of a book published in 1926 - Jakob Adriaensz Backer, ein Rembrandt-schler aus Friesland - is probably an overstatement of the fact. There is no evidence that Backer was formally apprenticed to Rembrandt in the same way as Govaert Flinck. However, Backer s earliest dated painting, John the Baptist rebukes Herod and Herodias (1633), is so distinctly Rembrandtesque in composition, colour and facial expression that we must assume that the master s paintings left a deep impression on him. We can gain some idea of Backer s early reputation from the words of the Leiden artist Philips Angel. Writing about the painting of histories in 1642, he referred to the illustrious Rembrandt, the celebrated Jan Lievensz, the renowned Backer, the pleasing Bliecker . In 1718, Houbraken published Backer s portrait alongside Rembrandt s. He also marvelled at the speed with which Backer painted his portraits, recalling that a woman who had come from Haarlem to pose for him was able to return home the same evening taking the picture with her! Houbraken adds: I had almost forgotten to mention his outstanding draughtsmanship, which would have done an injustice to his reputation. Orders for Backer s paintings, which included a number of large regent pieces, soon came pouring in. His many history pieces and portraits secured his reputation. 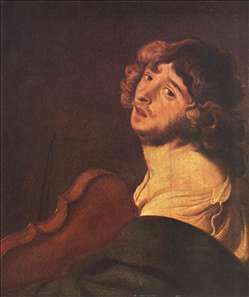 His pupil was Abraham van den Tempel. Jacob Backer died on 27 August 1651 at the age of forty-two. A funeral medallion was coined from an existing medallion to mark the occasion. 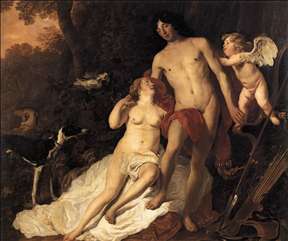 See more details about "The Hearing"
See more details about "Venus and Adonis"